Lo-Flex Swivel Gland is a two-part fitting comprising of a shell and body. The external thread swivels about the main body. Available to suit 20mm, 25mm and 32mm sized conduit. 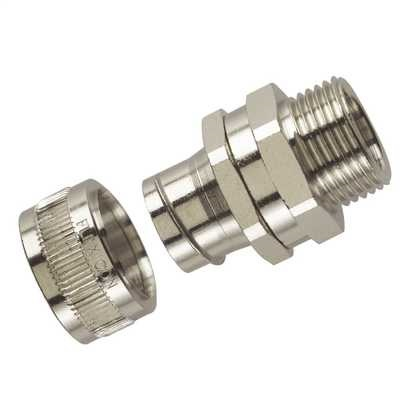 This fitting can be used with threaded entries, or knockout secured with a locknut. To suit 20mm, 25mm and 32mm sized conduit.